Protecting your personal assets & valuables. Prevent car break-ins with remote video surveillance. Not every parking facility is the same, and to that end they all carry different risks with different solutions. Our expertly trained licensed security professionals will familiarize themselves with all aspects of your business’s parking facilities and create the ideal security plan based on the individual needs of your customers, employees, and property. 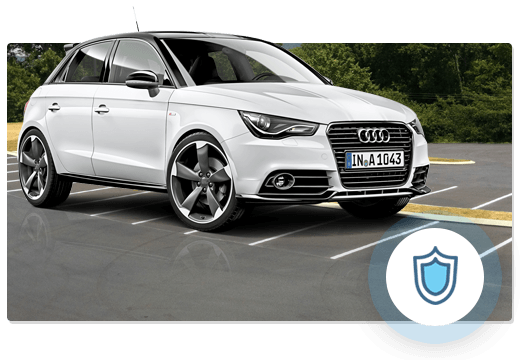 Whatever security guard services you require, Digital Security Guard has the perfect security solutions for your parking facility. In fact, parking facilities in the United states are the third place in the country where violent crimes occur, totalling to roughly 1,400 reported incidents each and every day. Naturally, vehicular theft and that of valuable belongings left behind in vehicles also occur frequently in parking lots and garages. The last thing that any business owner wants is for one of their customers or employees to be harmed, but sometimes simply relying on a single parking attendant and sub-par camera system for your security guard services just isn’t enough. If you want to truly ensure that your parking lot or garage remains a safe and pleasant environment, then you need to enlist the professional services of Digital Security Guard! Any location where large groups of people congregate poses a potential security risk, especially when it’s a place where people also often have their valuables with them. Parking lots and garages are perfect examples. Even when not crowded, the large expanse of the physical space and the amount of people coming and going can compound the difficulties of correctly monitoring and providing security guard services. These factors, and others, make places like parking lots and parking garages, simultaneously crowded while providing excellent cover, ideal targets for theft and other criminal activity. For all responsible business owners, the utmost level of security guard services are required at all times in and around parking areas for the safety of the customers, employees, and property alike. Despite how frequently we utilize them, often taking their very public yet isolated nature for granted, we forget that these are places where robbery, assault, and even murder can occur. Whether you operate the parking facilities of hotels, apartments, nightclubs & bars, or retail stores & shopping centers, your customers and your employees alike deserve the right to walk to and from their cars with the peace of mind that comes from knowing that you’re looking out for their safety and best interests. Let them know that you still care even once they’ve left your doors. Contact Digital Security Guard today for our different security guard services!